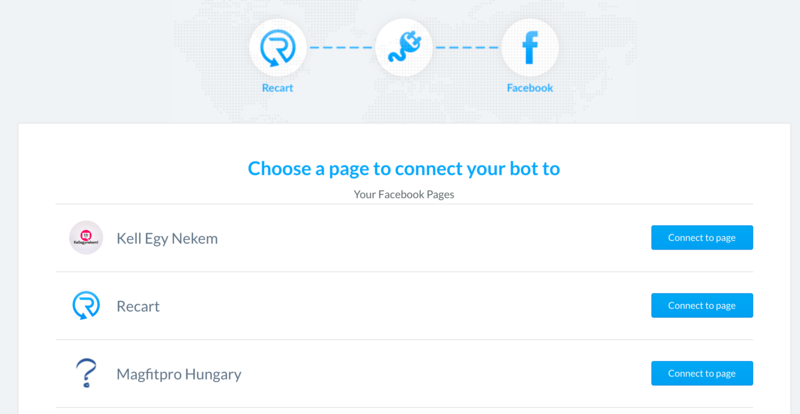 Learn how to connect your Facebook Page to the Recart Messenger bot. Connecting your Facebook Page to Recart is the very first step to use any Messenger Campaign in Recart. This connection will allow Recart to send Messenger messages in the name of your store. Don't worry, we won't send any messages you don't allow. If you don't have a Facebook Page for your store yet, you can create one here.